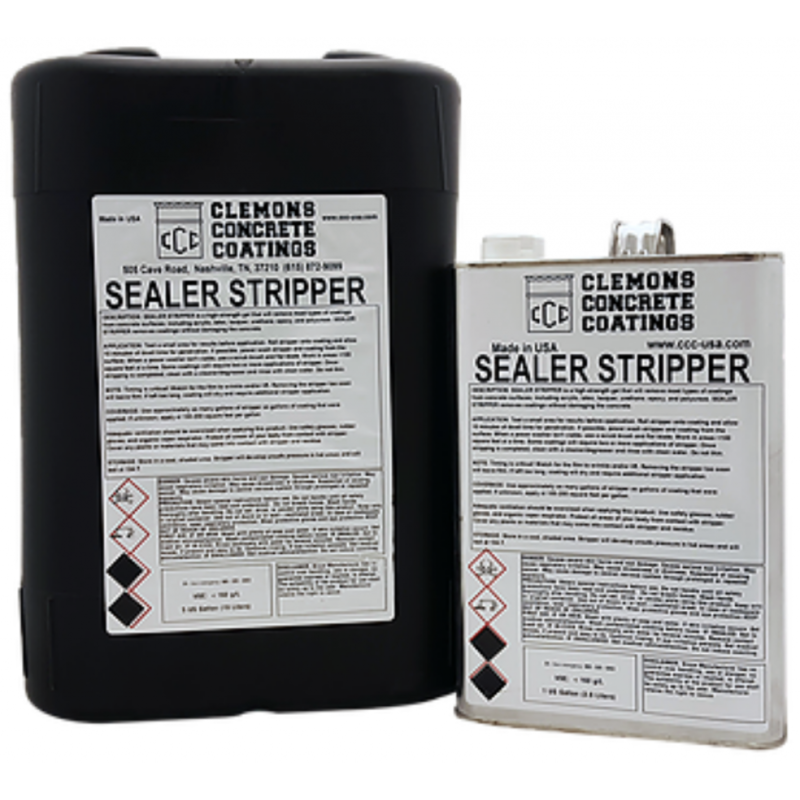 SEALER STRIPPER is a premium concrete coating remover designed to quickly remove any type of coating from concrete surfaces without harming the concrete itself. 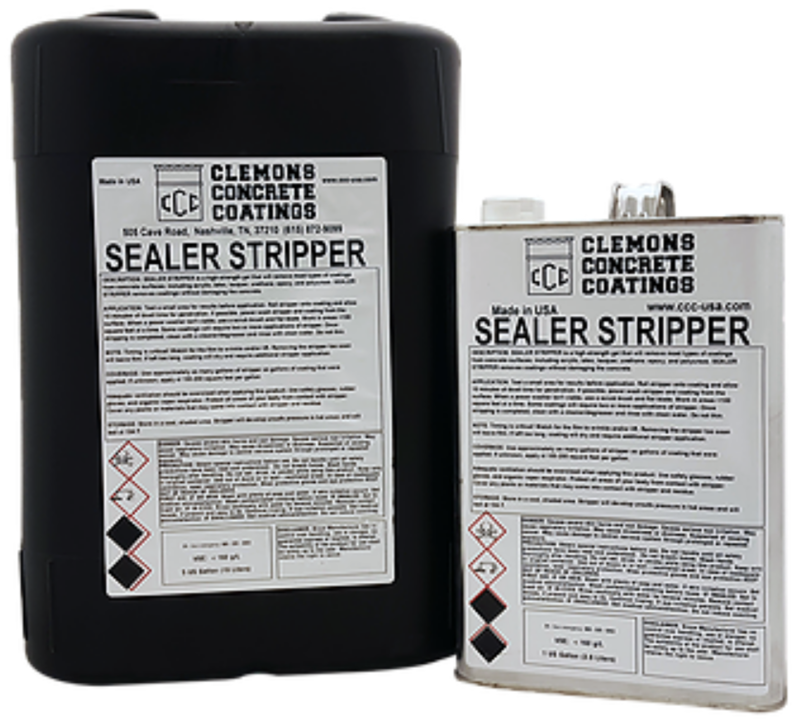 SEALER STRIPPER works on acrylic, varnish, latex, lacquer, urethane, epoxy and most any type of coating. Test a small area for results before application. Roll Stripper on concrete. Allow to sit for 10 minutes. If surface is exterior, power wash residue away with water. For interior, use a scrub brush and a flat blade. Do small areas of no more than 100 square feet at a time. 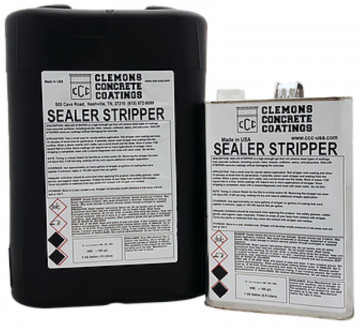 Stubborn coatings will require multiple applications of stripper. Clean with CLEMONS DEGREASER NEUTRALIZER and rinse with clean water. NOTE: Timing is critical. Watch for film to lift. Removing too soon will leave coating. If left too long, coating will dry and re-seal. Coverage: Use as approximately as many gallons of STRIPPER as gallon of sealer that were applied. If coatings are unknown, use approximately 100 -200 ft² per gallon.